VDI or virtual desktop infrastructure is a means of delivering a workstation desktop from a datacentre, rather than having it run locally on your PC or Mac. VDI differs from traditional Hosted Desktop in the way resources are shared. Each user in a VDI environment has a unique client instance that they can tailor to suit themselves. Hosted Desktop on the other hand is usually server based and involves sharing resources with a number of other users – in much the way an enterprise might have a standard workstation environment for all but their “power” users. A Hosted Desktop can be VDI or server based (SBC) and there are pros and cons to both. VDI allows for greater personalisation than SBC because it’s just like having your own PC or Mac, however that personalisation comes at a cost. Every VDI instance (& therefore user) has its own operating system and software install and that consumes a lot of disk storage. Firing up a lot of VDI instances at once (such as at 9am on a monday) hits the underlying hardware very hard indeed and good design is essential if performance is going to be acceptable. Being able to install whatever you want also brings the risk of “breaking” the VDI instance with the only way to prevent that being to take snapshots before any change. That can create an overhead that quickly becomes unmanageable with a lot if users. In addition, licensing for a pure VDI environment can be complex and expensive. Finally, there are a number of products in the market for connecting to a VDI environment and they all give differing levels of performance, depending on the mix of applications you have and where you want to access them from. 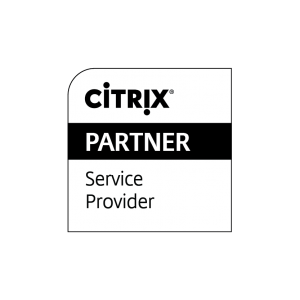 As a Citrix Service Provider, entrustIT can recommend the best desktop virtualisation solution for your organisation and then design, deliver and manage it for you. Let us take the strain out of desktop virtualisation.